Bangs can make such an impact and difference to your look. They are just as powerful and transformative as a tube of red lipstick, but involve a lot more commitment. They also pack a stylish punch - think fashion icons like Twiggy and Cleopatra. “Should I get bangs?” is the question almost every woman asks themselves this at least once in their life. 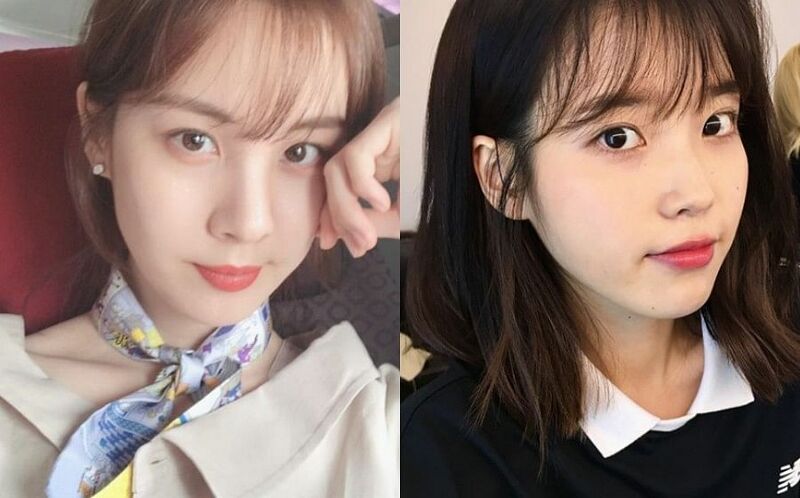 And lately, with so many Korean stars like Seohyun and IU taking the face-framing plunge, the desire to chop some eyebrow grazing layers is stronger than ever. Before getting scissor happy, here are 5 important questions to ask yourself. #1: How much time do you actually want to spend styling your hair? We hate to be the bearer of bad news but bangs are just not a wake up and go kind of thing. Maintenance is a must. Overgrown bangs can not only alter the proportions of your face but can also be extremely tricky to style. If you love to hit the snooze button and get ready in ten minutes, you’d probably wind up getting frustrated quickly. Wavy and curly locks do take a little more effort and time to style but even women with straight hair can wake up with their bangs going in all different directions. If you are willing to invest the time and effort to tame your mane (no matter how many times you hit snooze) then go for it. To keep your bangs perfectly polished, try to get a trim every two weeks. In a time crunch? Leave a mini straightener by your office desk so you can refresh your hair in minutes. #2 Do you have acne prone skin? Sure, bangs can elevate your look to new heights, but are you paying the price with unwanted forehead blemishes? The constant contact between the bangs (which deposits debris from styling products) and the skin can lead to breakouts. To keep your skin clear underneath the fringe – get to the root of the problem and try to tuck your bangs away to let your skin breathe when you are out of the spotlight. Also, try making simple tweaks in your styling routine to minimise the amount of oil that gets trapped on the skin. For example, when you spritz hair products, apply the product on your comb to prevent the product from touching your hairline and scalp. 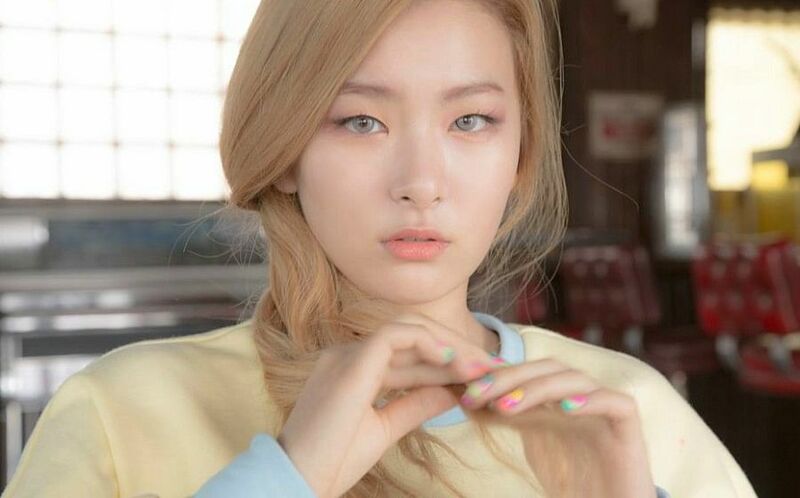 #3 What is your face shape? Forget fillers and botox – bangs have the ability to transform and change your face shape. If you have a longer face shape, steer clear of blunt cuts and go with a more wispy style or long side swept bangs to balance out your angular jawline. Got a rounder face with not-so-defined cheekbones? Try a heavy fringe with longer side pieces to frame and slim down your face. #4 What is my hair texture? Getting bangs is an instant way to add massive volume when you have naturally fine and thin hair since the front section of hair looks thicker. However, if you start too far back, the body of hair can get thinned out. Consider starting bangs only slightly back from your forehead and keep some face-framing layers to add dimension to your haircut. For those with thick and wavy hair, go with a longer do that can be easily pushed to the side. To prep you hair for the big chop, repair any dry and damaged strands with a nourishing deep conditioning treatment. #5 Are you a commitment-phobe? When you get the chop, remember that you’ve got to style your bangs all the time. When you do decide that you want to grow them out, the grow-out phase can be quite a tedious and long process. If you are walking down the aisle in a couple of months, have an important event to attend to or have an unfortunate a long history of regretting your haircut choices, think long and hard before taking the plunge. Is a Jimmy Choo makeup line on the way?